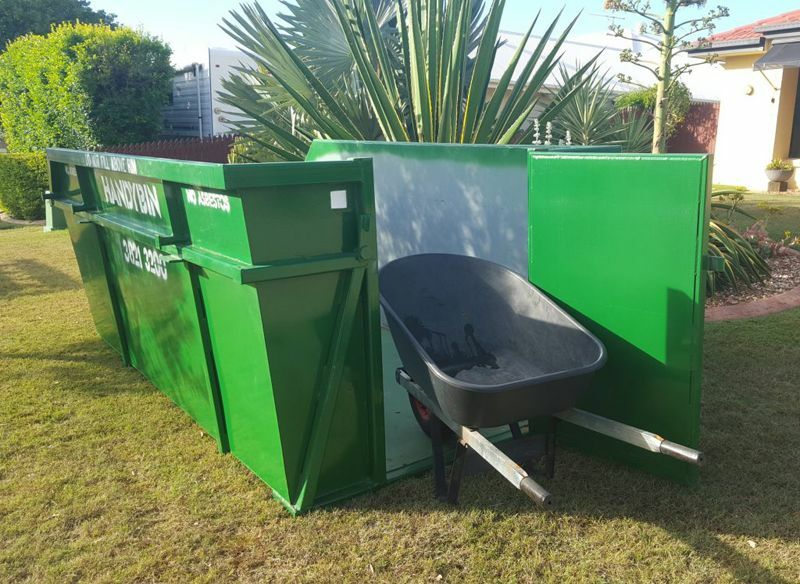 Skip Bins with Doors - Our unique designs make loading bins easier. 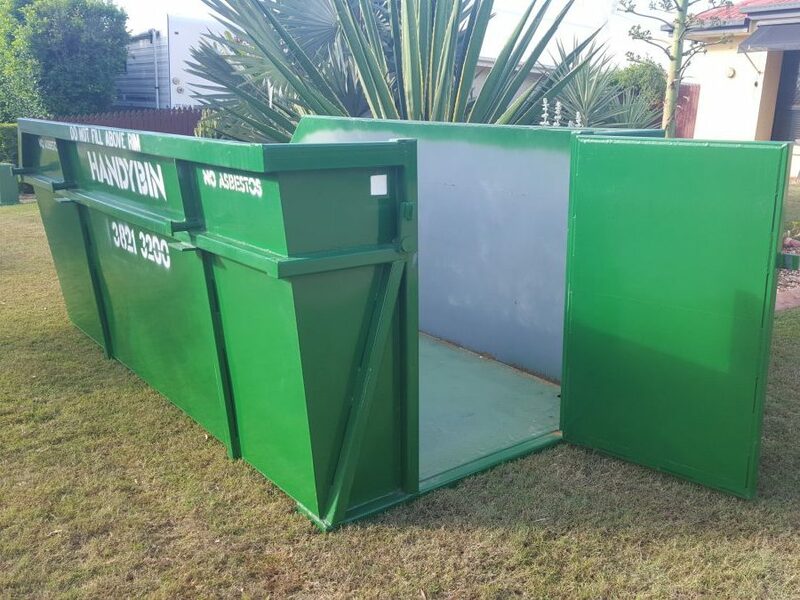 Skip Bins with doors – makes life easier! The specialised doors make life easier by making moving rubbish into the skip easier. The unique design means there is no ramp up or drop down, into the bin. The door is a swinging wheelbarrow door and is available on all 6m, 7m 8m & 9m bins. They are also available on some 4m & 5m bins. The door is 750 mm wide which will accommodate a large tradesman’s wheelbarrow. The doors are at one end of the bin (facing the road if we were to place the bin on your driveway). Only in certain circumstances are we able to turn the bins around (a charge may apply). We also have 6m tailgate bins (lift on-lift off bins) available for jobs that need rear opening access. The tailgate acts as a ramp into the bin and sits less than 60 mm off the ground for easy loading. The width of the tailgate is 1.500 metres. NOTE: The 4m & 5m skip bins with the door, and the 6m bins with rear tailgates are very popular and may not always be available. If you make an online booking, we will confirm availability as soon as possible. If you need to know sooner, please contact our office on 3821 3200. We continue to look for new and innovative ways to service our customers by developing, and introducing new services to meet our growing market. 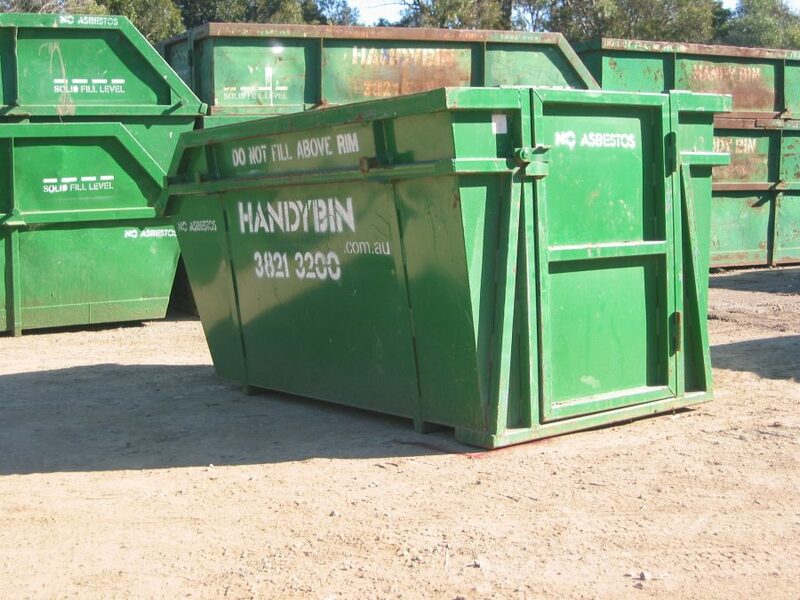 Our range of bins is one of the most complete in Brisbane. The range of Handybins are a ‘Lift On, Lift Off’ style bin. Along with our range of Handybins, we have a range of larger bin sizes called ‘BIG BINS’. These are a ‘Roll On – Roll Off’ style bin (RORO) and are available in 12m³, 15m³, 20m³, 25m³ & 30m³ capacity. These bins are a tailgate-style bin with a 2.3-metre opening tailgate. These are suitable for commercial and industrial situations, larger building and construction, and demolition sites or factory/business cleanups. 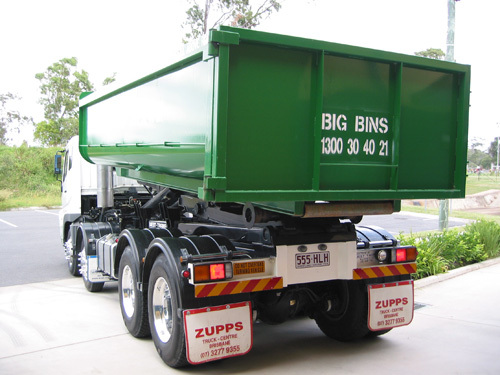 This style of bin has a door at the rear similar to a tip truck and swings to the side of the bin allowing 2.300-metre access. These bins sit on a sub-frame of 200mm so a small ramp will be needed to wheel items into the bin. With such a comprehensive range of specialised skip bins and sizes, we are confident we have the right size and style bin to match your job.